Item # 301835 Stash Points: 2,799 (?) This is the number of points you get in The Zumiez Stash for purchasing this item. Stash points are redeemable for exclusive rewards only available to Zumiez Stash members. To redeem your points check out the rewards catalog on thestash.zumiez.com. 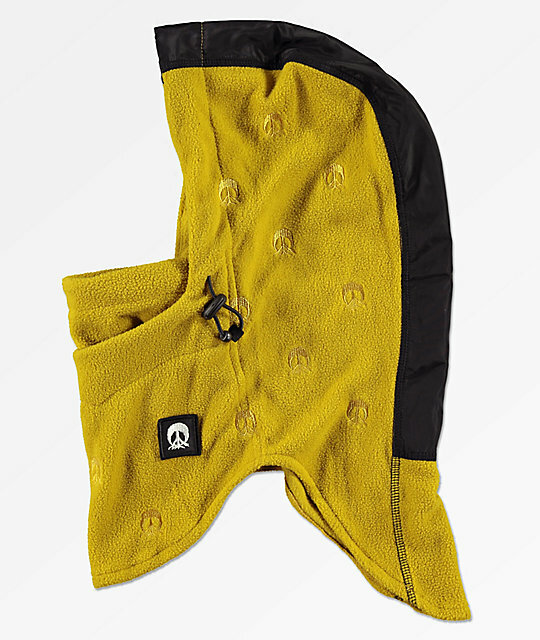 Maximize your warmth on the hill this season with the Gnarly Mustard Facemask Hood. Featuring fleece lining throughout for maximum warmth and comfort, this mustard colored hood will keep you cozy through the worst of conditions. A nylon strip is added at the top of the crown for water-resistance, while the adjustable drawstrings at either side of the chin ensure a perfect fit, every time. 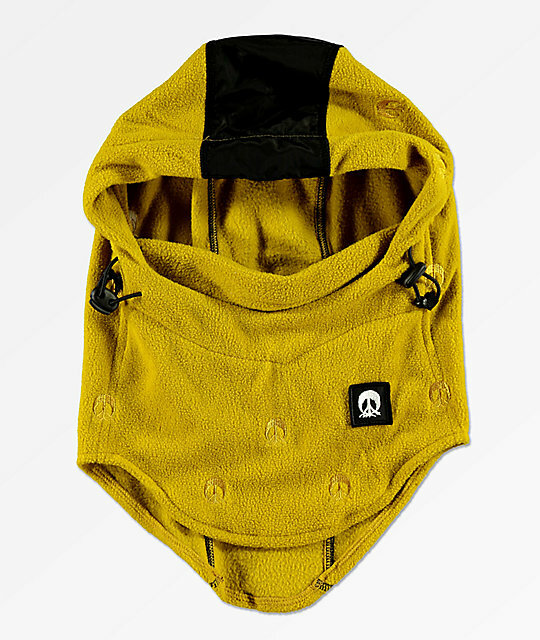 Mustard Facemask Hood from Gnarly.